Have you ever wondered where you'd be in 20 or 30 or even 50 years? Was "fashion plate" ever among any of your predictions? 64-year-old Lyn Slater never imagined that sort of thing was in the cards for her. That's probably why she's now known as the Accidental Icon—emphasis on the "accidental". 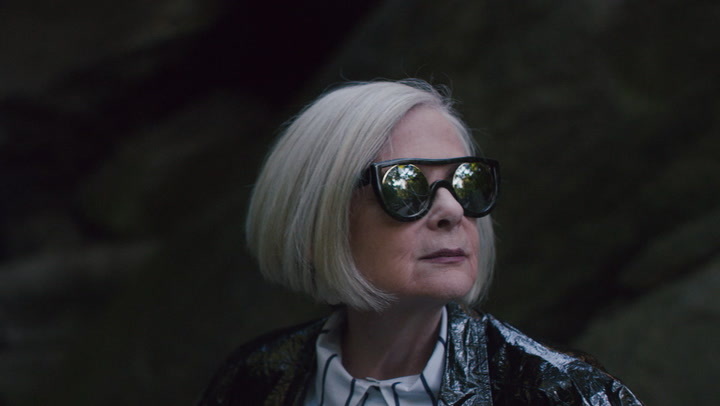 "I started Accidental Icon, my blog, three years ago because I wanted to become more involved in the world of fashion," says Slater, who is a professor at Fordham University's Graduate School of Social Service. "I like to think about my clothes as a medium through which I can be creative." At a time when fashion—like most other creative industries—is in a state of turmoil, Slater finds reason to rejoice: "I'm very happy that we're in this place where the old is not working but we don't yet know what the new is because I think that's the most creative and exciting state." If the result means more fashionistas like the Accidental Icon, we're inclined to agree. Want more? Check out the video!